We’re going to play our renewed soundtrack for The Cabinet of Dr. Caligari at Teder bar this coming Monday. The movie will be screened on the wall outside Teder while we perform our live soundtrack. 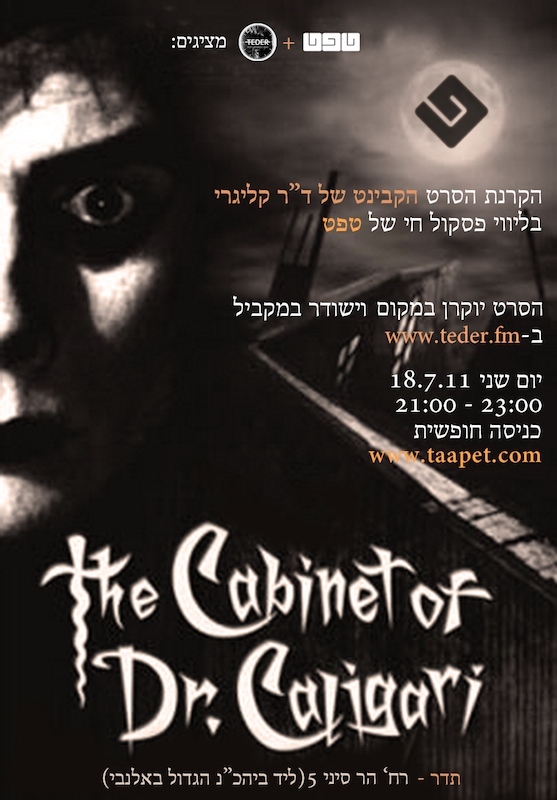 The Teder radio broadcast, at www.teder.fm, will also stream audio and video feeds from the event. After the movie we’ll continue playing live materials from our new album, Taapethic. We start at 9 and finish at 11.